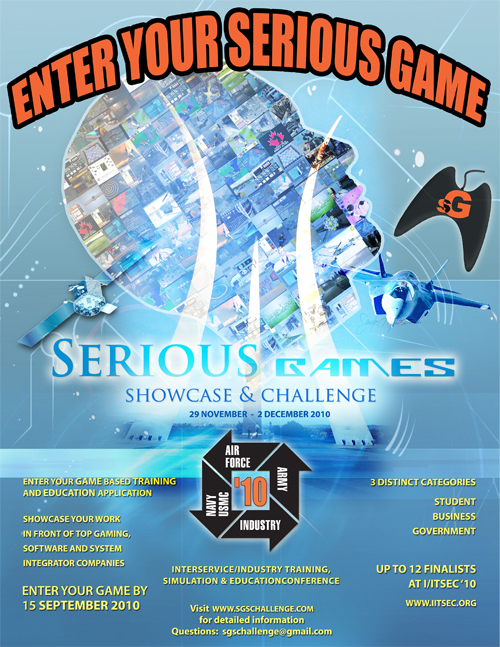 Heading into the year 2010, the Serious Games & Showcase Challenge IPT committee began to realize that the growth in the number of games and the quality of games they had planned for was definitely becoming more evident. Although they didn’t see a big increase in the number of entries for this particular year, they did see a great potential for growth. In 2010, the quality of submitted games had become so much stronger, that after the finalists were selected, the committee felt that two games were deserving of Honorable Mention status, and for the first time since the second year of the challenge, they awarded Honorable Mentions along with the 12 finalists, further validating the committee’s view of the trend. As the number of games increased, and the quality of games became stronger, the committee opened up the aperture of its focus to manage this increased interest, as well as the media familiarity and acceptance. 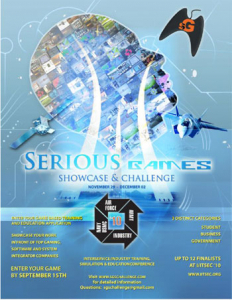 The Serious Games Showcase & Challenge, now completing its fourth competition, was developing its roadmap and it now seemed as if this momentum would carry them for the long haul.